Did you know dirty dryer vents cause 15,000 home fires a year? That adds up to a collective $201 million in damages! According to recent studies, nearly 92 percent of all laundry room fires can be traced back to either a dirty dryer or a dirty dryer vent system. Either way, it’s kindling simply waiting for a spark. 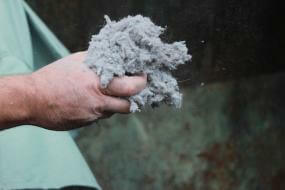 And that’s all it takes – just one small spark can ignite lint buildup. Once ignited, that lint fire can then quickly spread into vent tubing throughout your home walls. The good news is lint fires are, for the most part, preventable. The key to prevention is plain and simple – get rid of the lint buildup. We all know it’s important clean out the lint trap between each load, but it’s also just as important to clean the lint trap itself as well as along the edges of the trap. Remove the lint trap and clean the inside of the machine for the lint that made it through the lint filter. Use a damp cloth to wipe around inside of the dryer and grab all of the escaped lint pieces. Clean the dryer vent tubing leading outside of the home annually. This service is requires specialized equipment and professional services, but removes the threat of lint build-up inside the walls of the home. Maintain your dryer vents, so you can maintain your lifestyle – happy and lint free!